In Providence, Rhode Island’s West End neighborhood, on a large industrial parcel once surrounded by abandoned mill buildings, Groundwork Providence is quite literally sowing the seeds of a cleaner, greener city. 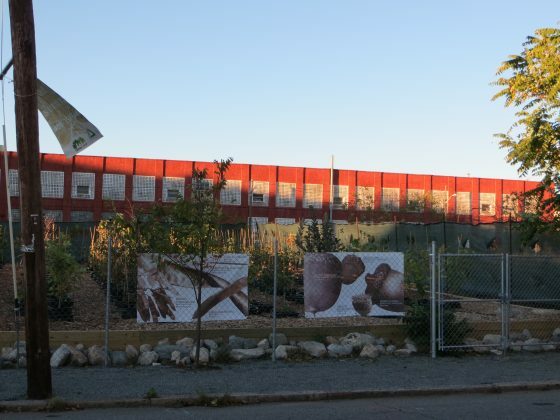 Contaminated with heavy metals after years of housing a metal fastener factory, the West End site is now home to the Hope Tree Nursery, the first nursery in the United States constructed on a former brownfield. With funding from EPA’s Brownfields program, Groundwork Providence assessed contamination on the parcel in cooperation with West Elmwood Housing Development Corporation, which owns the land. In 20 12, workers from GroundCorp, Groundwork Providence’s social enterprise that provides on-the-job training and transitional employment to graduates of Groundwork Providence’s environmental job-training programs, set about to remediate the site. They brought a water line and irrigation system onto the parcel, capped the lead-contaminated soil with 18 inches of clean fill, and built a retaining wall and fence around 4,500 square feet of the site to house the nursery. Today, the Hope Tree Nursery grows 290 trees, representing 27 native and near-native varieties, including sassafras, black walnut, and scrub oak. The trees are grown using a pot-within-a-pot method that prevents soil from being removed from the site and allows for the easy replacement of seedlings once they are mature. After two years, the saplings are sold to homeowners in the community, commercial property owners, and municipalities on a sliding scale based on ability to pay, which allows the nursery to remain financially self-sustaining. Groundwork Providence also uses these trees for a variety of grant-funded projects, such as green infrastructure installations and volunteer tree plantings. engaging community members to green and transform their physical environment. Groundwork Providence works closely with the City of Providence Parks Department Forestry Division to advance the City’s goal to increase Providence’s tree cover to 30%, in order to boost air and water quality, moderate temperatures in the urban core, and improve public health. In addition, Groundwork Providence’s partner, West Elmwood Housing, has incorporated the Hope Tree Nursery into its plans for 50 affordable housing units, a community garden and greenhouse, and world market that is being constructed in 2016 on the remaining brownfield parcel where the nursery is located. 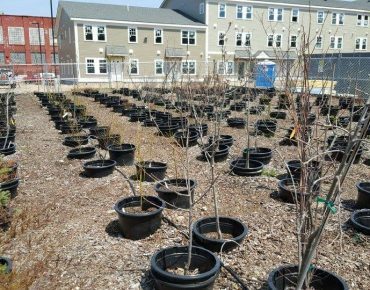 In this way, the Hope Tree Nursery is truly part of transformative efforts to improve the health and quality of life of Providence residents.